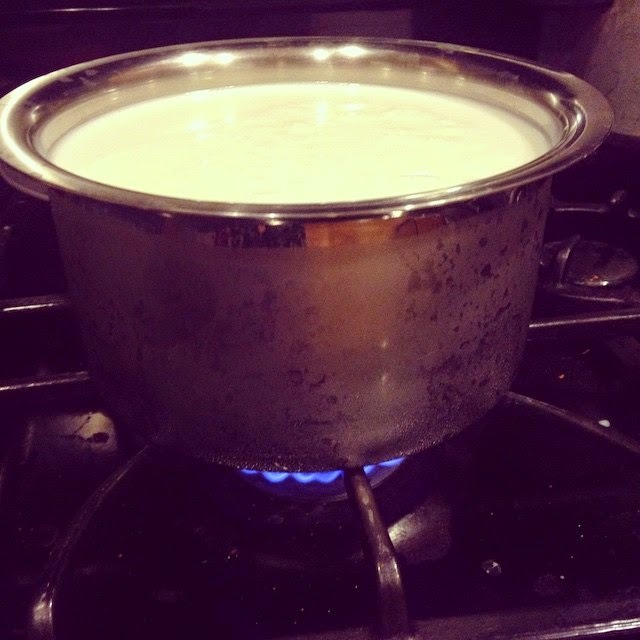 For as long as I can remember, my mom has been making yogurt at home. Growing up, I don’t remember her using store-bought yogurt ever! I remember the beautifully painted clay pot she used to set her yogurt. I tried my best to re-create the same creamy texture of my mom’s yogurt and after many trials and errors, here’s my recipe – works every time. My mom never used a machine or a thermometer. You won’t need them either. 1. Please please please, use full fat milk. 2% or skim milk will not work as well as full fat. 2. Get a batch of good gelatin-free starter yogurt. I tried many brands and finally settled on ‘Gopi’ yogurt. It’s the only brand I found that doesn’t have gelatin. You can find it in any Indian grocery store in the refrigerator section. 3.Since I don’t use a machine or a thermometer, it’s hard to tell when to add the starter but I will try and explain my method as best as I can. It might take a few tries to get the perfect texture, but I promise it will be worth it. 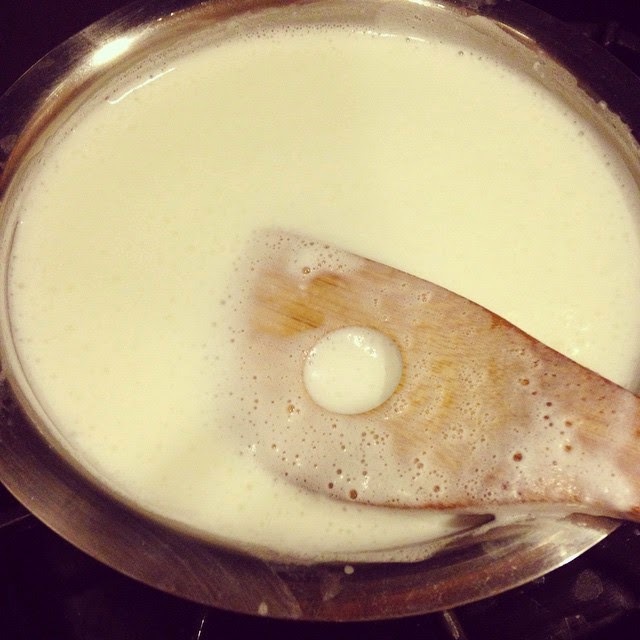 Step 2 – Turn the heat off and let the milk cool. Keep stirring when it is cooling. You don’t want that yucky skin forming on top of the milk! Step 3 – This is the most crucial step. With your clean finger, test the temperature of the milk. It should be warm but not hot. If your impulse is “Ouch that’s hot!” it’s not ready yet. It should be the temperature of a nice warm bath. I hope that makes sense. 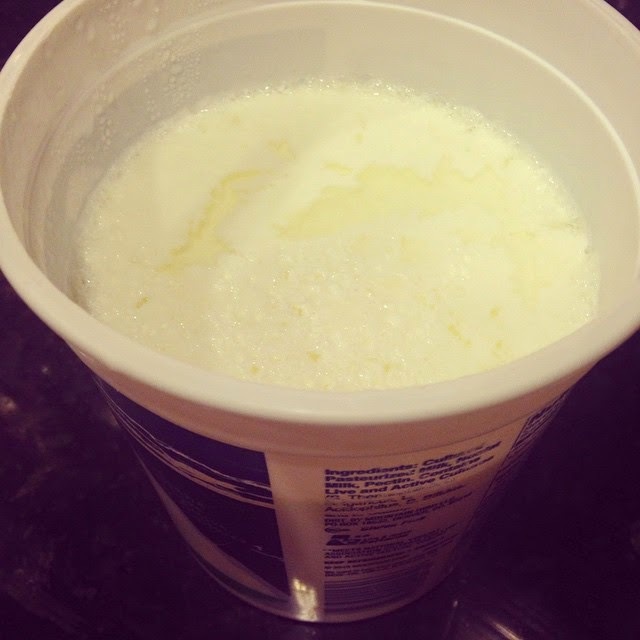 Step 4 – Now is the time to add the starter yogurt. 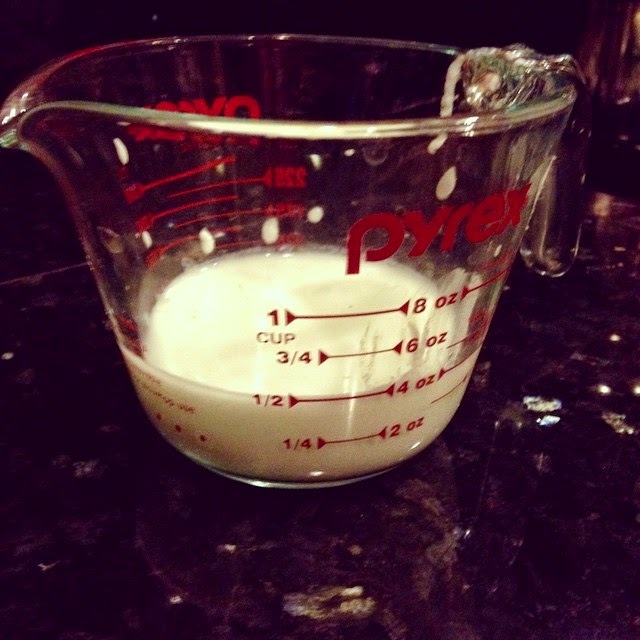 I add about 1/2 a cup of yogurt for half a gallon of milk. Step 5 -Mix well and pour it into containers of your choice. 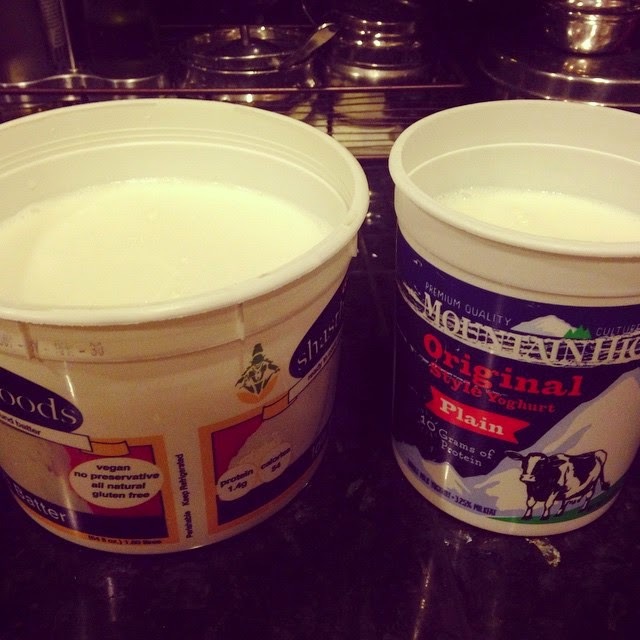 I use washed yogurt tubs, but anything with a lid will work just as well. Here are my tubs, sitting pretty, ready to go into the oven. 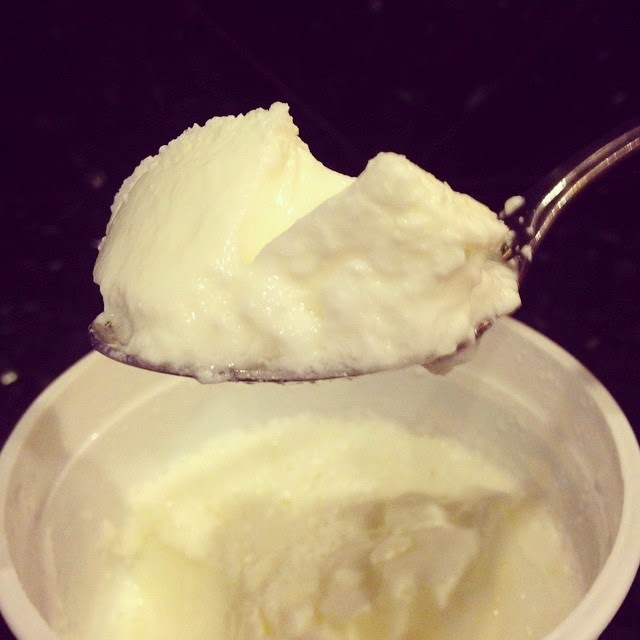 Step 7 – You’ll see firm yogurt that doesn’t jiggle much. See that water on top? That’s a good thing. Now pop these babies into the fridge for a couple of hours .